Ahh, I just LOVE this top! I am a real sucker for Galaxy/Nebula print and just find it so pretty. 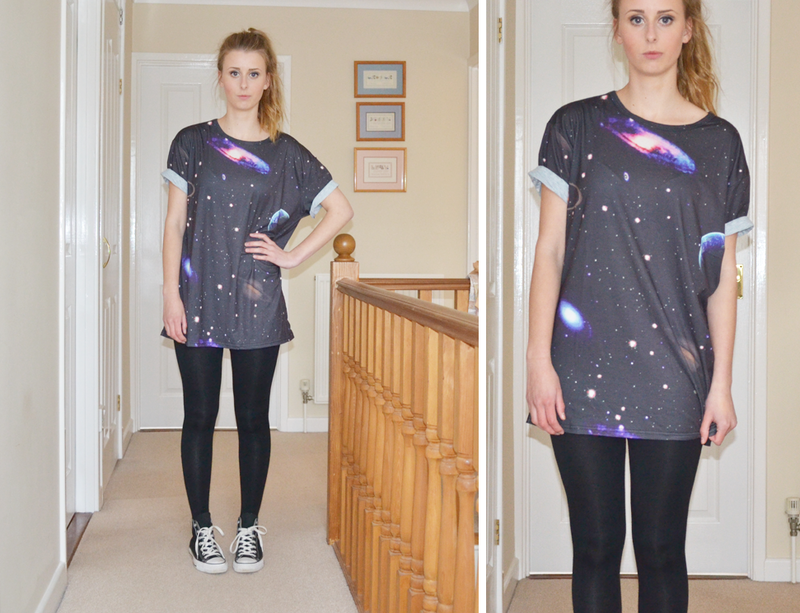 I already have a galaxy print top from Topshop which I got for Christmas however I actually much prefer this one because of the overall bagginess. It’s perfect for just chucking on on those slobby days, which I’ve had a lot of recently with all this revision!